In financial terms, any business entity or individual person that takes or borrows money from another institution or person in the form of a debt is said to be taking a loan. The borrower charges a pre decided rate of interest on the given amount. The loan agreement is a contractual document between the two parties and is a legal piece of paper that contains all the terms and conditions of the deal. The terms and conditions stated in the agreement are enforceable by law. The contract contains information like the principle amount borrowed from the debtor, the rate of interest, the repayment schedule and time period of the loan amount. A type of application that is pre drafted to acquire or request a loan from a lender or financial institution is called a loan application form. It can be created by an individual lender or a legal financial institution or bank. The person or entity that takes the loan is called the debtor and the person or entity that gives the loan is the creditor. The loan can be taken for various purposes. It can be an educational loan initiated by a student or his parents or it can be a business loan or any other form of personal requirement. The generic loan application form provides all the relevant personal and critical information which can be used or that may be necessary to take the lending decision by the creditor. 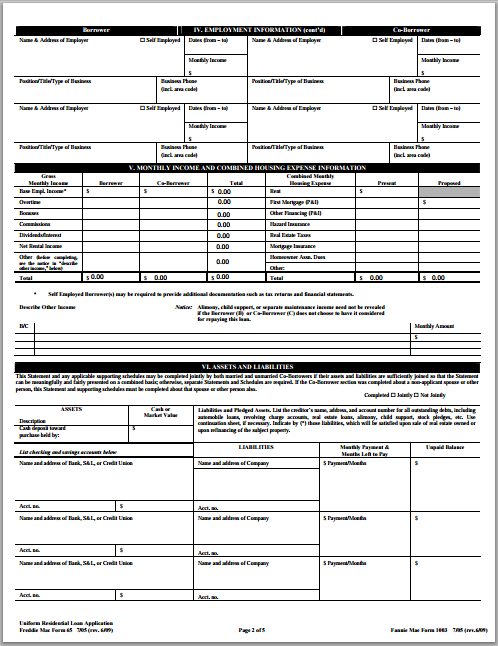 The loan application form should be accompanied by the documents that help prove the reason for taking the loan.